Uttarakhand Public Service Commission Preliminary Written exam will contain Objective type Questions from different Subjects. Here we are giving related topics from which the questions may be asked in the UKPSC Naib Tehsildar Written Exam. 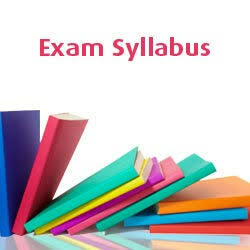 Here you can also check the Topics that will be Covered in Mains Exam. Those subjects are mentioned below. UKPSC will cover all these subjects in the exam. General Science and Knowledge of Computer Operation. Geography and Demography of India. Geography and Demography of Uttarakhand. Economic, Political and Administrative Background of Uttarakhand. Current events of International, National and State Importance. Elementary Knowledge of Indian Constitution. Geography of India and Demography. his website, since here every information is qualityy basesd material.